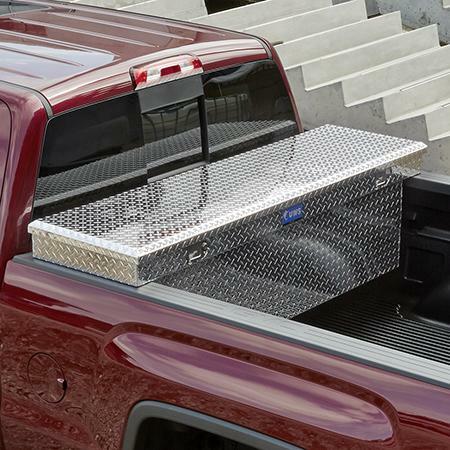 Constructed of 0.75mm diamond-patterned aluminum with a full-length stainless steel hinge and foam-filled lid that supports 500 lbs this Tool Box is built to last. 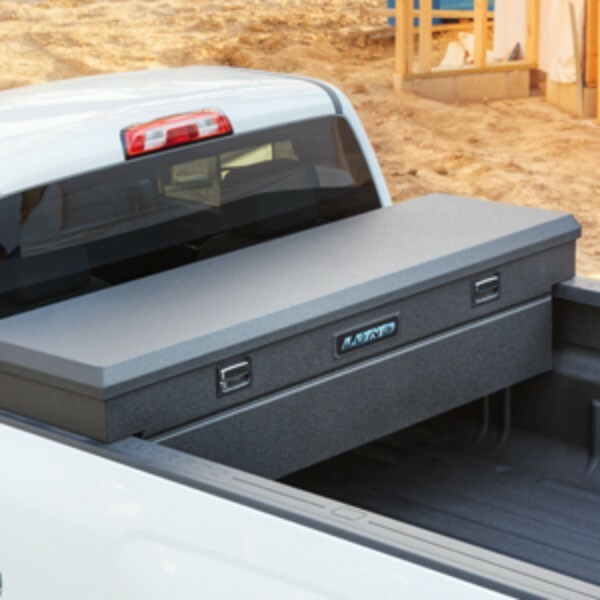 It can handle over 250 lbs of stored equipment and includes a removable sliding tray with rubber isolation mat dual gas shocks for smooth opening/closing and a one-touch latching mechanism. No drilling required mounts securely to the bed rails. Non-GM warranty..